This addon is incredible in that it adds a new swords. At the moment, there are only 5 swords, but each is unique. 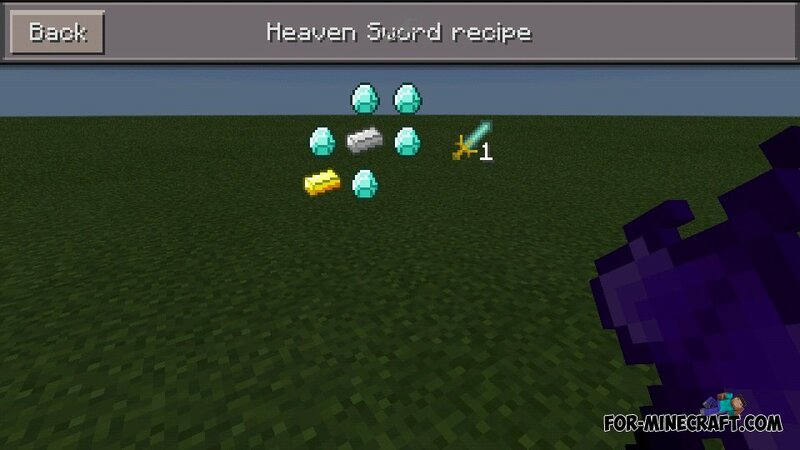 Heaven Sword- has high attack power. He is able to protect you if you keep it in your hands and fell from a height. 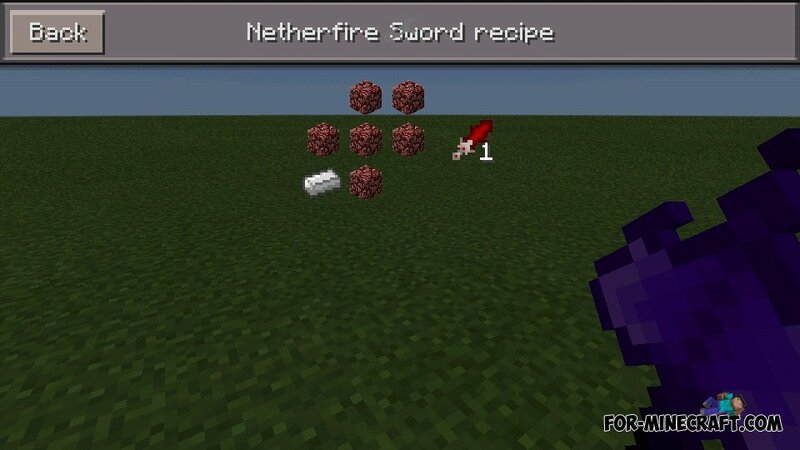 Netherfire Sword - the sword sent by Hades. This is true, because his ability is that it can protect you from the lava. 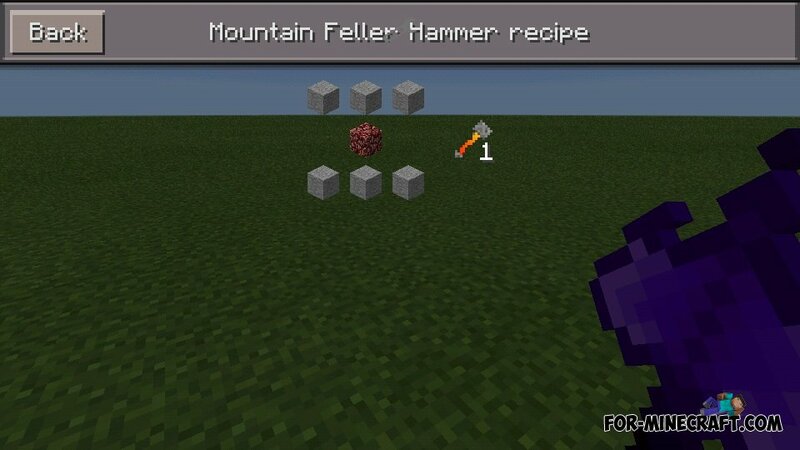 Mountain Feller Hammer - the most powerful of all. He has a unique ability - high jumps. 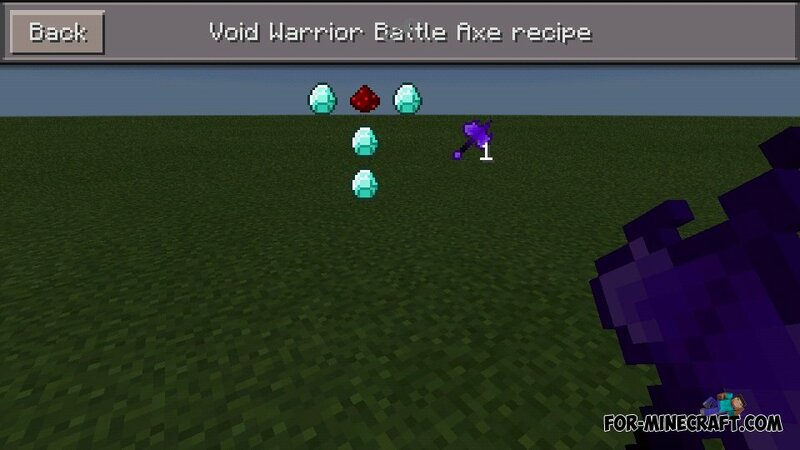 Void Warrior Battle Axe - middle attack power, but allows you to survive and to fly in a vacuum. 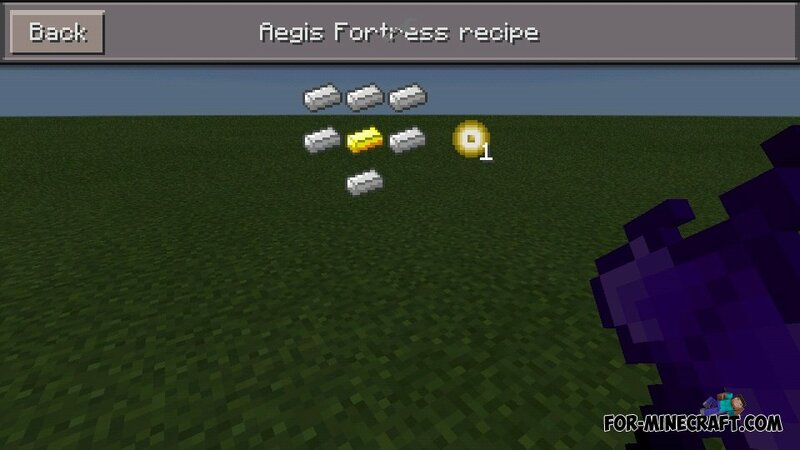 Aegis Fortress - reduces damage.